It is generally accepted that the 1991 Census of Population failed to enumerate over 1 million people, or 2 per cent of the British population. The undercountg was not homogeneous; it was concentrated within a few aage and gender groups; young children, very elderly women and young men. 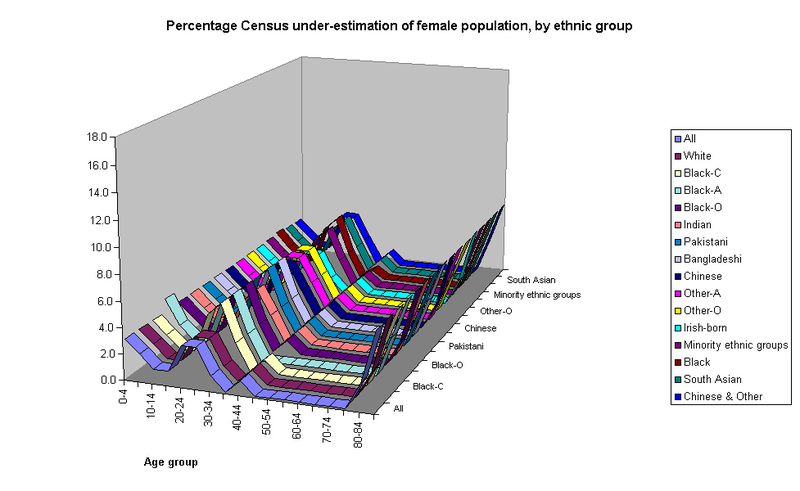 The Office for Population Censuses and Surveys (now part of ONS) produced an anlysis of the undercount in User Guide 58: Undercoverage in Great Britain. This contained adjustment factors by age, gender and ethnic group. These adjustment factors can be accessed in an Excel spreadsheet by clicking here. 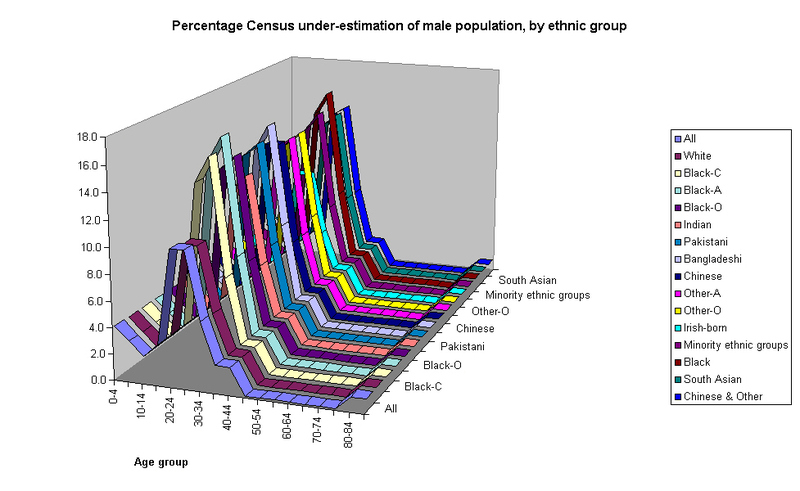 The effect of the undercount can be seen in visual terms in the diagrams below for males and females. Return to key information page. This page last updated 5th June 2002.